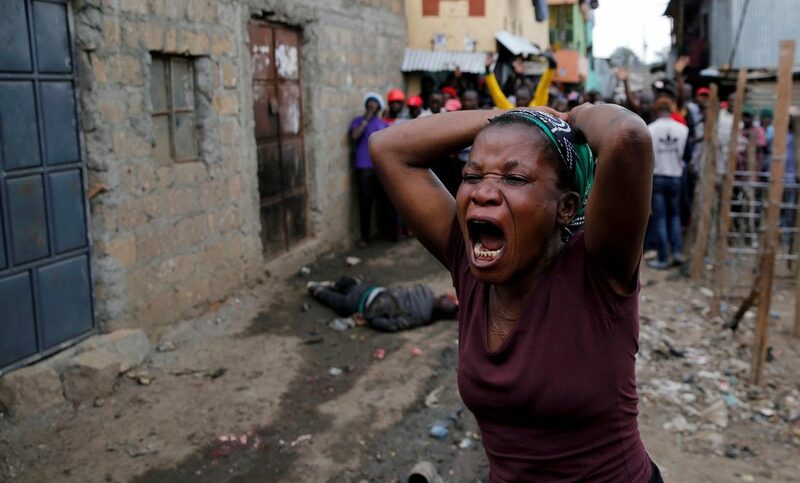 NAIROBI, Kenya (CNS) — Kenya’s Catholic bishops urged compensation for deaths, injuries and loss of property in last year’s extended election season, which divided the nation and harmed its economy. Disputed elections led to the deaths of about 100 people. Kenya’s Supreme Court nullified an Aug. 8 poll, citing procedural irregularities, and President Uhuru Kenyatta won a repeat vote in October that opposition leader Raila Odinga boycotted. Many people in the East African country “are still traumatized by what they went through and remain bitter, and hence are in need of healing and reconciliation,” Bishop Philip Anyolo of Homa Bay, chairman of the Kenya Conference of Catholic Bishops, said at an April 13 news conference in the capital, Nairobi. “For those who lost their property and those undergoing medical treatment … there must be a way of compensation and some assistance” to enable them to “recover their lives and livelihoods,” he said. The country’s bishops welcomed March talks between Kenyatta and Odinga, Bishop Anyolo said, noting that “their coming together was and will continue to be good for the country.” Odinga lost in a 2007 election, which was followed by violence fueled by ethnic tensions that killed more than 1,000 people. Bishop Anyolo said the bishops hope dialogue between the political leaders will bring a new era of peace, stability and prosperity. “We call on them to speed up the process of real, meaningful and lasting reconciliation,” he said. “We have been praying for a united country, where every person’s dignity is respected and where all have equal opportunities,” he said. In a statement, the bishops called for a national conference that brings together all stakeholders to discuss contentious issues that emerged during last year’s elections. Their statement, released at the meeting, addressed a range of concerns, including corruption, poverty, education and the family. High levels of corruption, extreme poverty, an unprofessional police force and poor service delivery are severe problems in Kenya, Bishop Anyolo said. Unless the gap between the poor and the rich is bridged, tensions and conflict will persist, he said. “We have to tackle poverty, which in most cases is a byproduct of corruption and looting of resources,” he said, noting that corruption has permeated all sectors of society and become a way of life. Police need to shun all forms of corruption, including bribe-taking, Bishop John O. Owaa of Ngong, vice chairman of the bishops’ conference, said at the news conference.